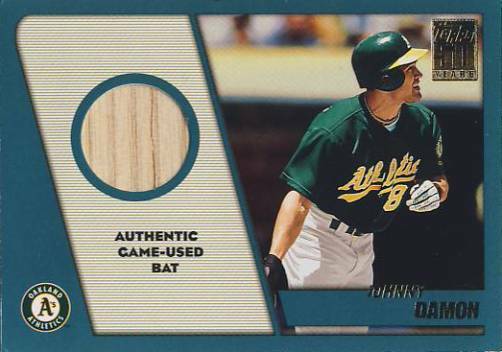 Inserted at a rate of one in 29, this 33-card set features game used bats or jersey swatches for players who have switched teams this season. All jersey swatches represent each player's new team. The cards carry a 'TTR' prefix. An exchange card for a Matt Stairs Jersey card was packed out.